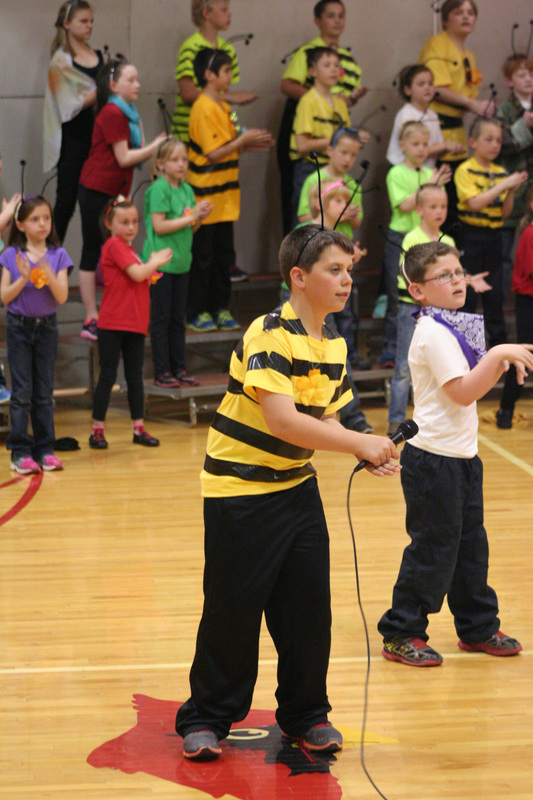 Luverne Elementary School’s first- and fourth-grade students performed the perennial favorite musical play “Bugz” Friday afternoon, April 17, in the elementary gymnasium. 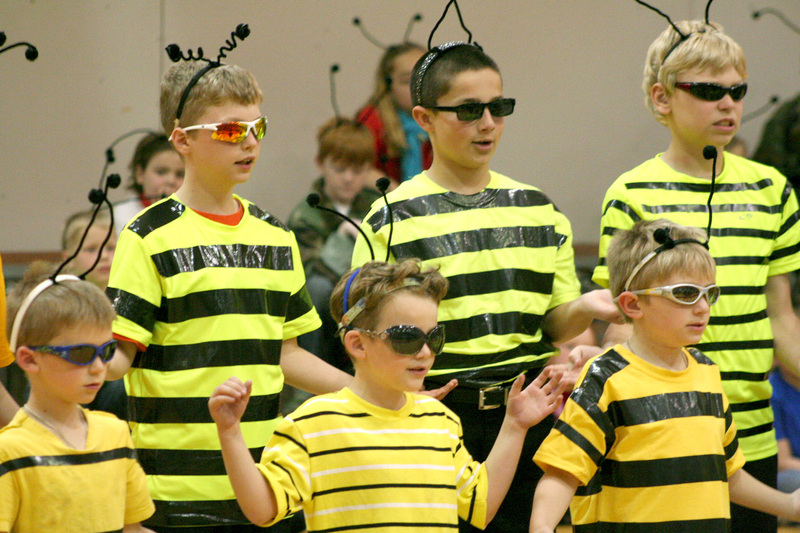 Directed by Beth Capistran and Shirlee Gilmore, the “Bugz” are going to a picnic, and the Lady Bugs, Army Ants, Fireflies and Bumble Bees are preparing for the event. 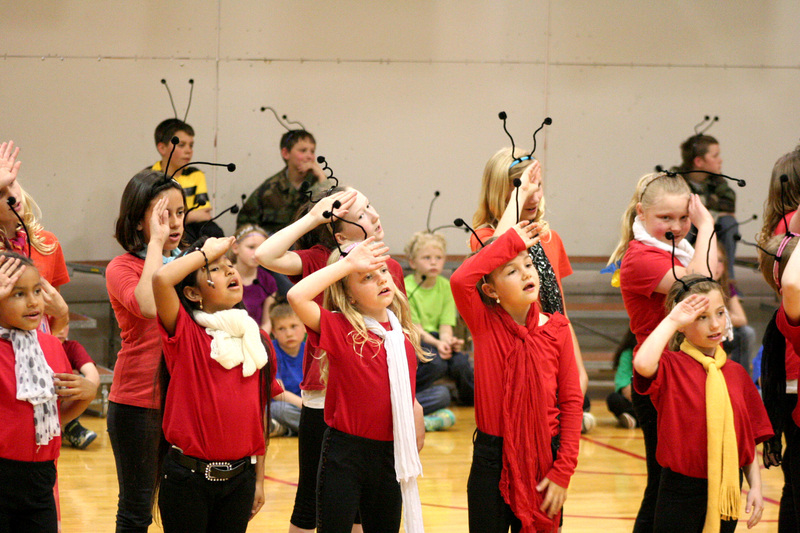 In a country-style hoedown, the Lady Bugs are in charge of proper etiquette, the Army Ants handle security, Fireflies are in charge of lighting, and entertainment is provided by the Bumble Bees. All efforts are to help the critters rescue the party. The Stink Bug wants to come too, but will he be invited? 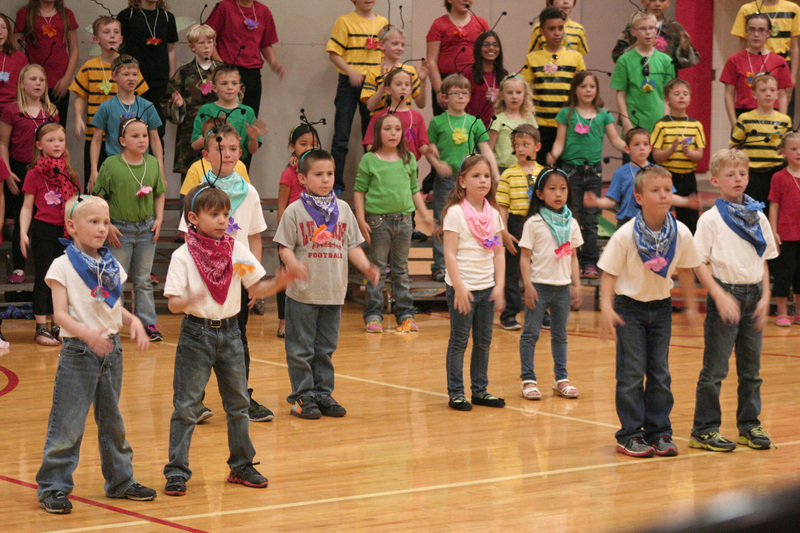 The answer is revealed through the performance of five songs’ rhyming dialogue.